Yum! Brands Inc. (YUM.N) reported flat sales at its struggling Pizza Hut chain in the latest quarter. While that’s better than the expected decline, it wasn’t enough to assuage investors. Overall comparable-store sales, a key gauge of performance for restaurant chains, topped estimates with growth of 3 per cent, compared with the 2.5 per cent gain anticipated by analysts. The rest of Yum’s quarterly results were mixed, with earnings per share falling short of estimates by a wide margin. The company also maintained a full-year earnings forecast that is below projections. 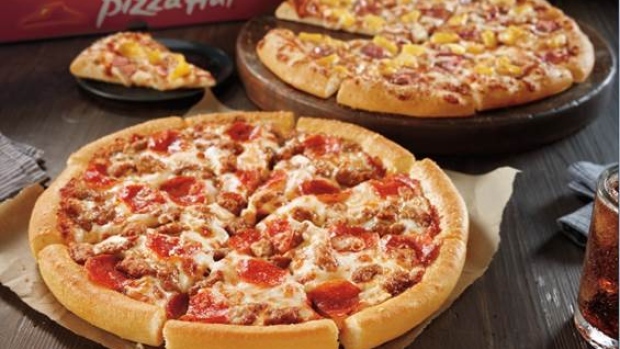 Yum is betting Pizza Hut’s performance will turn around with improved delivery and promotions. This contributed to a sharp erosion of operating margin last quarter, however. Taco Bell, meanwhile, succeeded in luring budget-conscious U.S. diners with more discounts. It’s also expanding overseas, in countries such as Thailand, to maintain growth. Comparable sales at the Mexican-inspired chain rose a better-than-expected 6 per cent. KFC same-store sales also slightly beat. At the corporate level, operating profit declined sharply. The company is spending more on advertising and delivery services, while the wider industry faces growing pressure from labor, commodity and transportation costs. The shares fell as much as 6.4 per cent before paring most of the loss on Thursday.